Last month, I received what was arguably an unsolicited native advertisement in one of my algorithmic playlists on Spotify – even though I pay $9.99/month for an ad-free experience on the platform. On November 2, 2018, a song commissioned by United Airlines, titled ‘Rhapsody in Blue (United Airlines Rhapsody Remastered)’, appeared in my Release Radar playlist. Performed by Berlin-based soul artist Charlotte Dos Santos, the track is a 2.5-minute, jazz-infused reinterpretation of George Gershwin’s masterwork Rhapsody in Blue, which United has used as its corporate theme music in TV ads and pre-flight announcements for over 30 years. While I do not currently follow Dos Santos’ account on Spotify, I have listened to several of her songs on the service, which perhaps triggered her appearance in my Release Radar. Her rendition of Rhapsody in Blue is one of four covers that United commissioned as part of its ‘Rhapsody Remastered’ social media campaign; the other three versions feature Ethiopian funk group Anbessa Orchestra, French electronic artist and drummer Clovis XIV and Filipina harpist and singer Low Leaf, all of whom currently have fewer than 5,000 Spotify followers (Dos Santos has around 17,600 followers). There are multiple elements here that arguably qualify United’s ‘Rhapsody Remastered’ project as a native advertisement on Spotify (note: the project is currently unavailable on any other streaming platform). No, United is not transacting directly with Spotify’s ad sales team to produce the ‘Rhapsody Remastered’ tracks. Nor do the songs themselves include any explicit call to action, or a clickthrough link to a website offering a transaction for a product or service owned by United, as a typical audio or banner ad would do. Yet there is no denying that the ‘Rhapsody Remastered’ project is subsidized by, and explicitly calculated to promote, the United brand. This is inherent both in the songs’ content and in their visual cover design. 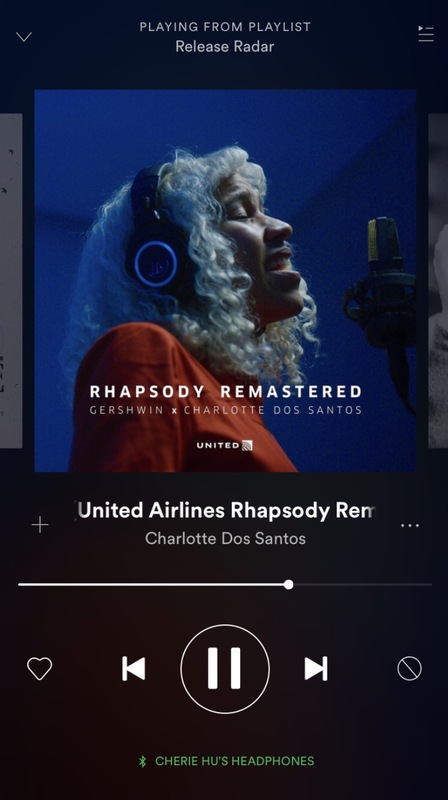 Aside from being structured around United’s corporate theme music, each ‘Rhapsody Remastered’ track prominently features the airline’s logo and color scheme (blue and white) in its cover art. This satisfies the requirement that native advertisements adopt the design and functionality of the media channels in which they are disseminated, akin to sponsored posts on Facebook and Twitter. What’s more, according to public data on Spotify, the ‘record label’ that distributed the ‘Rhapsody Remastered’ tracks was 360i – which is not a traditional label at all, but rather a digital marketing agency that formerly handled Spotify’s U.S. media-buying account. All of these interconnected threads point to a potentially problematic future around unwarranted advertising on paid streaming services. 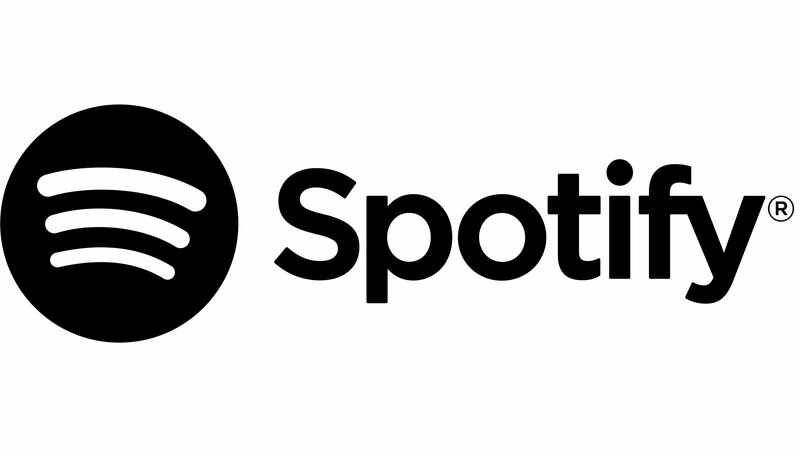 In a recent interview with MBW, Spotify’s Global Head of Advertising Brian Benedik claimed that he would never consider serving ads to paid users on the Swedish streaming platform. “That’s not a line we will ever cross because I think one of the main propositions of being a Premium user on Spotify is no ads,” he said. Yet my encounter with United’s ‘Rhapsody Remastered’ project on Spotify was arguably a form of algorithmically curated product placement, with concrete and immediate financial benefit for its sponsoring advertiser. This is not to denounce the artists involved in the project; they are all standout, creative and talented individuals, and may have gotten significantly more exposure and financial support from United than they would have otherwise received from more traditional channels. Nonetheless, as corporate brands get more involved in artists’ careers, there needs to be a more open and honest conversation in the music industry about disclosure in a consumer environment – particularly in cases where brands are hiring artists as revenue-generating ambassadors for advertising campaigns. Should artists disclose when they receive funding from non-music companies? If a brand releases, and profits from, an explicitly commercial record, should it be banned from being automatically recommended and promoted on paid streaming services that are supposed to be ‘ad-free’? Should paying music subscribers be protected from this form of advertising – or will a more brand-forward creative future essentially render the phrase ‘ad-free’ obsolete? The economics of running a sustainable music career is a constantly moving target – and brands are increasingly stepping in as valuable sources of capital for artists, in a way that transcends the negative connotations of ‘selling out’. Whether it’s Mountain Dew’s Green Label subsidiary awarding $50,000 to indie rapper Kelechi to record his debut album, or Toyota funding one of Steve Aoki’s first tours through their now-defunct music platform Scion A/V, or W Hotels releasing singles by the likes of Amber Mark and Perfume Genius through their new label W Records, a growing number of corporations are venturing beyond the old-school, surface-level ‘brand endorsement’ to provide direct funding for artists across all revenue streams, including but not limited to recording, touring and merch. Where things get interesting is where the distinction between an ad agency and a music rights holder is no longer clear. Sony Music U.K. launched its own in-house creative agency 4th Floor Creative earlier this year, while Universal Music Group & Brands has recently developed music campaigns for brand clients like M&Ms, Honda, Nokia and American Airlines. Since 2015, Universal has also been running a joint venture with French ad agency BETC called POP Records, focused on tapping into the latter’s brand network for artist sponsorships. In the above examples, artist development and brand development are simply two sides of the same coin – and there is no riper terrain for observing this merging relationship than on Spotify. As of Q3 2018, the majority of Spotify’s monthly active users (MAU) don’t pay for the service. But Spotify still relies on paid subscriptions as its core business engine, with advertising having accounted for just 9.7% of the company’s total revenue last quarter. The Swedish platform’s ad-supported MAUs also grew at only half the speed of its premium subscriber base year-over-year. Nonetheless, Spotify is still bullish on the future of its ads business, particularly as it continues to expand into Asia, Africa and Latin America—markets where free music consumption, either legal or pirated, largely remains the cultural norm. Currently, Spotify offers a variety of advertising packages to brands, with names like Audio Everywhere (i.e. cross-platform audio ads) and Sponsored Session (i.e. mobile video ads whose completion unlocks 30 minutes of ad-free listening for the end user). 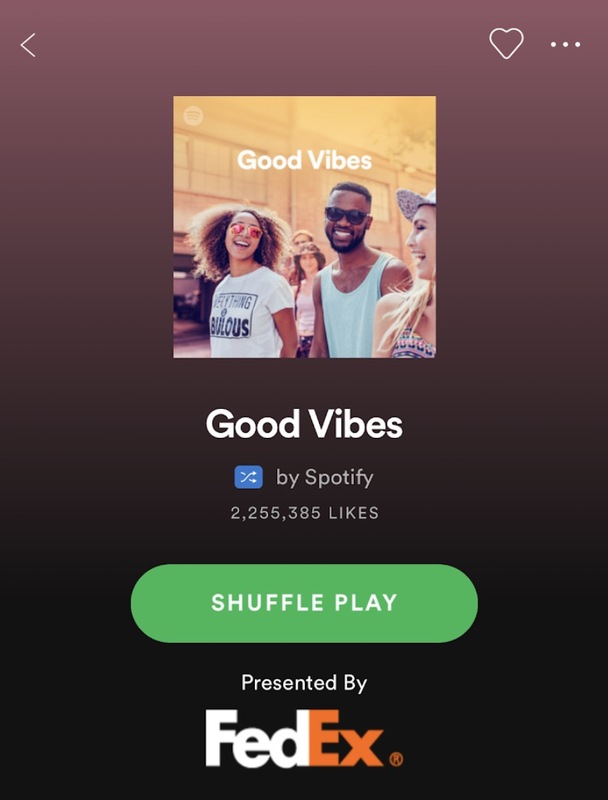 In May 2016, the platform launched its Sponsored Playlist package, which allows brands to do a ‘visual takeover’ of owned-and-operated playlists like Today’s Top Hits and Mood Booster (example pictured below, visible only to free users). Spotify also has a short, controversial history of experimenting with native ad formats on its service. In June 2017, it was shown that the service was testing a ‘Sponsored Song’ format in which labels could pay to promote songs at the top of any fan-generated or owned-and-operated playlist—a dynamic that some commentators compared to radio payola. Third-party startups like Feature.fm have helped implement ‘sponsored song’ formats on other rival services like Deezer and 8tracks. Yet there is a far more popular and widespread form of ‘native advertising’ on Spotify, in which brands circumvent Spotify’s ad sales team and build their own, third-party editorial playlists on the service under verified user accounts. Over the last few years, the likes of Adidas, Starbucks, State Farm, BMW and Verizon have assembled playlists to help sell smart speakers, highlight celebrity partnerships and soundtrack customers’ workouts or dinner parties. Still, several third-party branded playlists dismiss these guidelines and include hyperlinks in their descriptions to transactional webpages, arguably turning into more commercial advertisements—and entering a potential danger zone in using artists’ content to boost corporate visibility without permission. But what if brands not only do have artists’ permission, but also are the very entities releasing those artists’ records? The growing trend of brands like United Airlines and W Hotels earning royalties from their own songs on streaming services makes this issue around advertising and disclosure even murkier, especially if those songs are available to both free and paying users. Not all cases, however, should be generalized or created equal. For instance, let’s consider the latest release from W Records, the singles label under W Hotels. 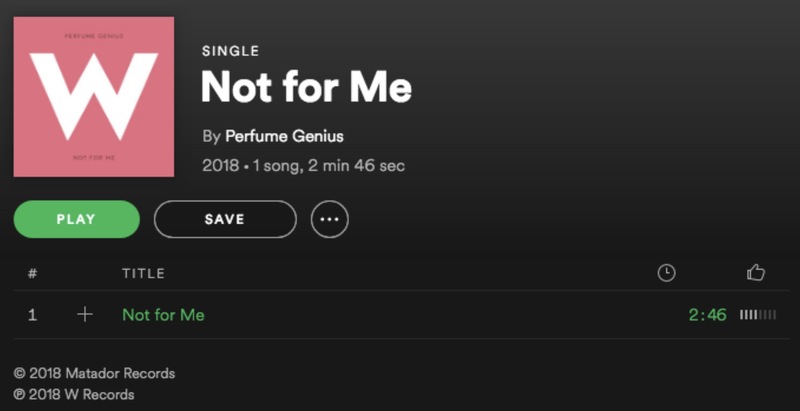 On November 19, 2018, pop artist Perfume Genius released a cover of Bobby Darin’s 1963 ballad ‘Not For Me’, distributed jointly under Matador Records (the artist’s current long-term label) and W Records. The track was recorded at a private, onsite recording studio called the W Sound Suite in the hotel chain’s Seattle location. As with every other single released through W Records, a large “W” in the style of the brand’s logo is emblazoned on the album cover. Yet according to the original press announcement, W Hotels will not be making any profit off of these recordings, but instead will donate all of its own proceeds to a charity of the featured artist’s choice (while allowing the artist to keep their share of the royalties). In the case of Perfume Genius, all of W Hotels’ proceeds from the artist’s singles will be donated to Immigration Equality, a U.S. nonprofit devoted to LGBTQ immigrant rights. In short, while the launch of W Records certainly aims to improve W Hotels’ brand association with everyday customers, the company’s sponsorship takes the form more of providing funding and infrastructure for music production and contributing to meaningful social causes for artists, rather than of using artists merely as vessels to push product. In contrast, United’s ‘Rhapsody Remastered’ tracks have no charitable component baked into them, and essentially serve as audio commercials in that every stream and ‘engagement’ directly benefits the sponsoring company, venturing far beyond the more abstract incentive of ‘brand awareness’. Assuming that more brands will work with ad agencies to release commercial projects like ‘Rhapsody Remastered’ on Spotify and other services, the automated delivery of these songs in algorithmic playlists like Discover Weekly or Release Radar would arguably be akin to a combination of native and programmatic advertising. Programmatic ads – or the automated, real-time buying and selling of ad inventory – accounted for 22% of Spotify’s total ad revenue in Q3 2018, marking a 44% increase year-over-year. Programmatic native ads would combine the underlying, automated purchasing technology of programmatic with the content form of native. Unlike with traditional display ads, which normally require advertisers to submit just a single visual file to fit a website’s banner, programmatic native ads break down the unit for sale into more granular elements, including a headline, thumbnail image, brand name, brand logo and/or description. Each of these elements can be auctioned off individually or as a collective unit, depending on the specific layout demands of the publisher. We are seeing the greatest shifts towards programmatic native ad formats in the digital news and media sector, where some ad exchanges have reportedly seen a triple- to quadruple-digit growth in investment in the format since 2015. United’s ‘Rhapsody Remastered’ campaign hints at how programmatic native formats could pervade the music streaming landscape in the next decade. 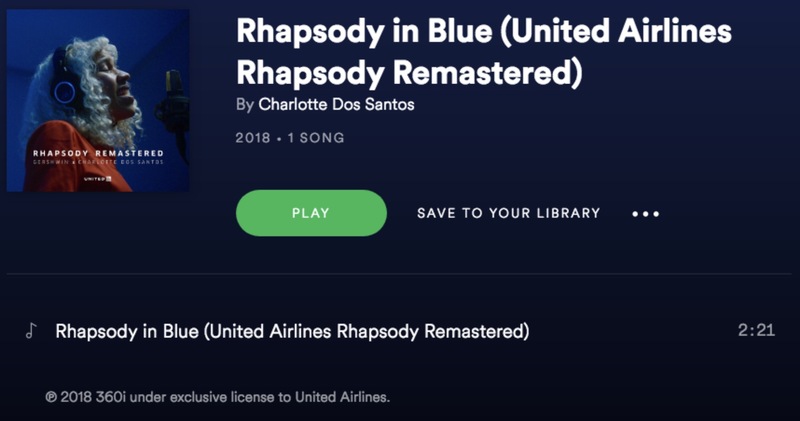 Consider how the album cover for Charlotte Dos Santos’ ‘Rhapsody Remastered’ contribution includes a United logo and brand-associated color scheme, as previously discussed. What if, in uploading future records to Spotify, Dos Santos and other artists could opt in to sell or auction off these distinct elements of their records directly to brands, essentially treating album covers as ad units? One can easily imagine a situation in which brands could advertise on streaming services not just on the wider platform level—i.e. B2B transactions with Spotify’s internal teams—but also directly with individual artists or songs via an open, data-driven sponsorship network. Similarly, artists could use their streaming data to gain more leverage and build stronger cases for partnering with specific brands and, ideally, use platform tools to lower the barrier to closing deals. 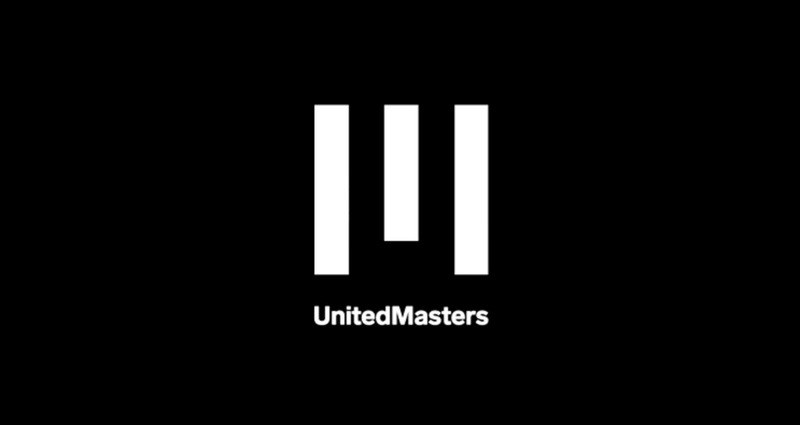 This is arguably what Steve Stoute’s digital distribution venture UnitedMasters is trying to accomplish through its new partnership with the NBA, which allows artists who upload music through UnitedMasters to opt in for consideration to be featured across NBA’s suite of media properties. Other startups like Music Audience Exchange are building similar artist-brand networks and marketplaces, but not at the point of distribution to a streaming service. In fact, the podcasting world is also ahead of the curve, with startups like Anchor building their own sponsorship networks connecting podcast creators and sponsors. Importantly, the widening popularity of podcasts also underscores the inescapability of premium advertising at large: during Spotify’s latest earnings call in November, CEO Daniel Ek revealed that podcasts – a significant growth area for the company, in part because of lower licensing costs – will likely still include host-read advertising for its Premium users. This dynamic could have especially significant implications for Spotify’s ongoing international expansion into markets with widely different music-industry economics. For instance, in India – a market where Spotify is rumored to be launching next year – both emerging artists and legacy Bollywood playback singers alike are making an increasing proportion of their income from brand sponsorships. Especially for indie artists cultivating audiences primarily on free services like YouTube –which counts India as one of its fastest-growing markets, but provides relatively paltry monetization for accounts with smaller audiences – the majority of their revenue comes from sponsored audio and video content with brands, who treat said artists more as holistic ‘influencers’ than purely as recording artists. A parallel dynamic prevails in the Middle East, where Spotify recently expanded into 13 new markets. The region still suffers from rampant piracy and a frail, near-nonexistent collective licensing infrastructure, compelling some up-and-coming talent to rely more on direct deals with brands than on traditional label or publishing contracts to build up a sustainable career. In these circumstances, it goes without saying that both corporate brands and streaming platforms will play a crucial role in strengthening local licensing and artist-development infrastructures on the ground. But given that brands in these markets are so often at the forefront of propelling emerging artists’ careers – and hence driving up the value of music for local consumers – will this corporate involvement and cultural capital be recognized in a paid streaming environment?